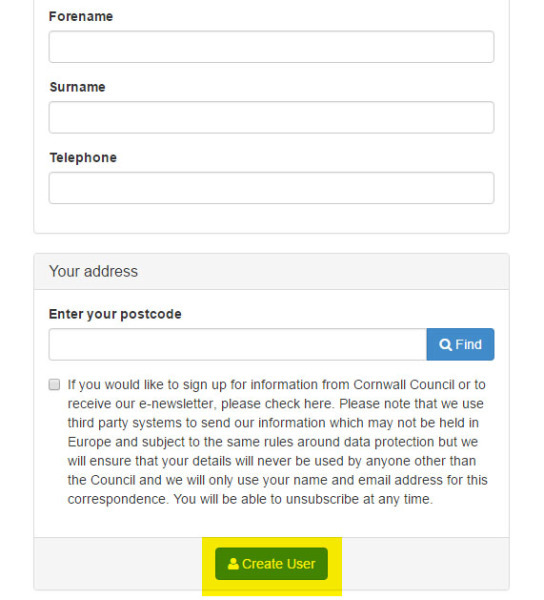 To be able to comment online to a planning application you need to register on the council website. 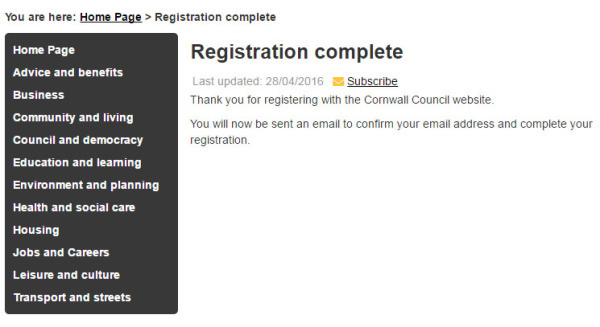 This is simply and steps are shown below. 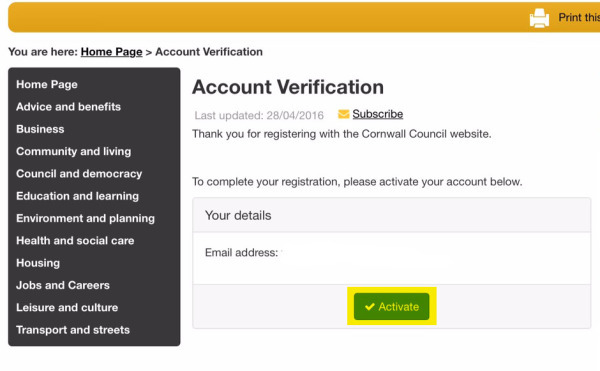 Once you have registered you can continue to use your login details in the future. 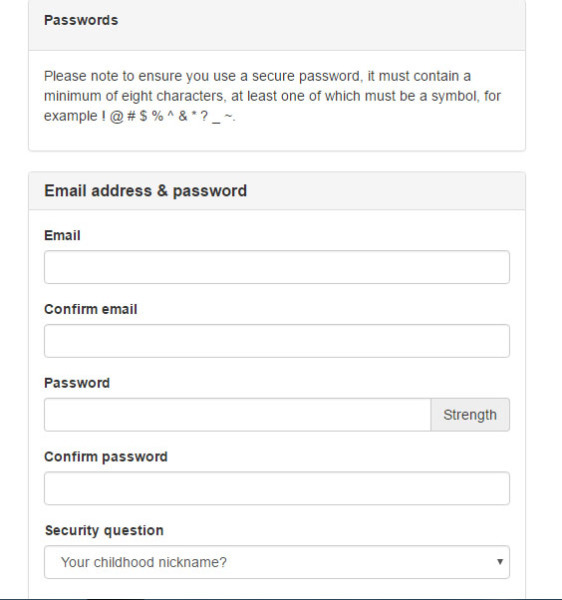 Email address, Password, Security Question (i.e. your oldest siblings name), Title, Forename, Surname, Telephone, Address. 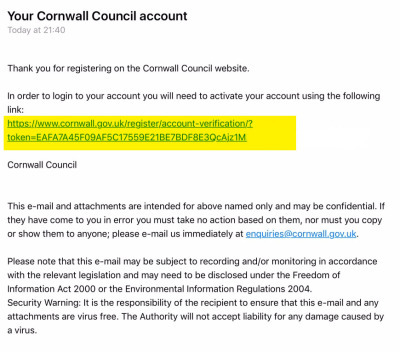 You will be sent an email to activate your account, click on the link (or copy and paste into your browser window). ​(shown in yellow in the image). 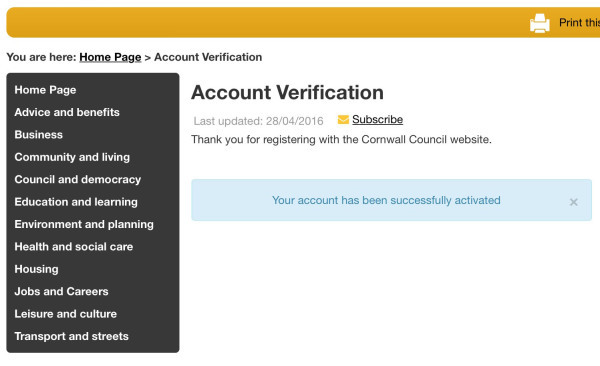 This will take you to the Account Verification window. Please click Activate. 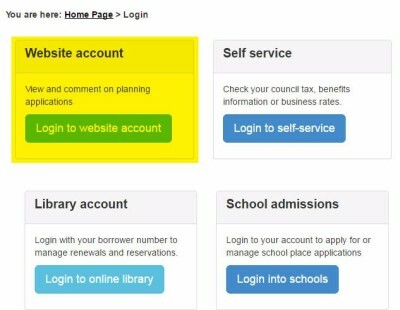 (Highlighted below in yellow). 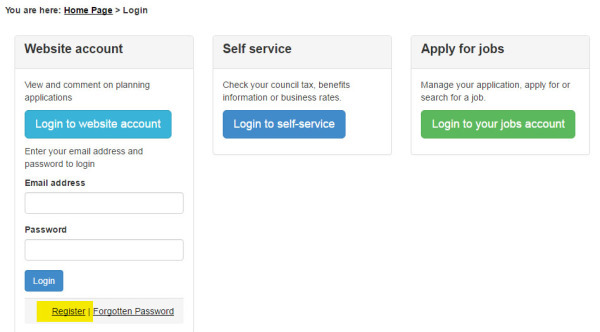 You can now go back to the Login Page, enter your email address and password. 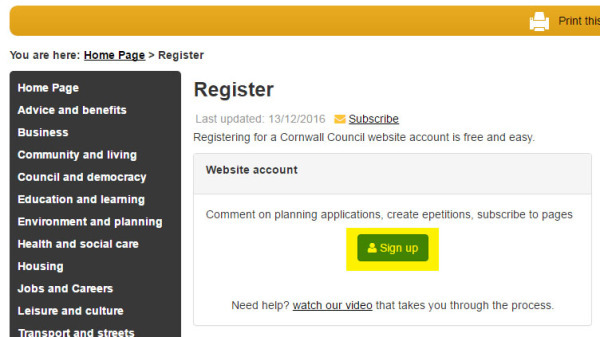 See our webpage: How to comment on a planning application.